Linking you to the community and nature. Black bears have learned to thrive in close proximity to humans and cultivated areas. 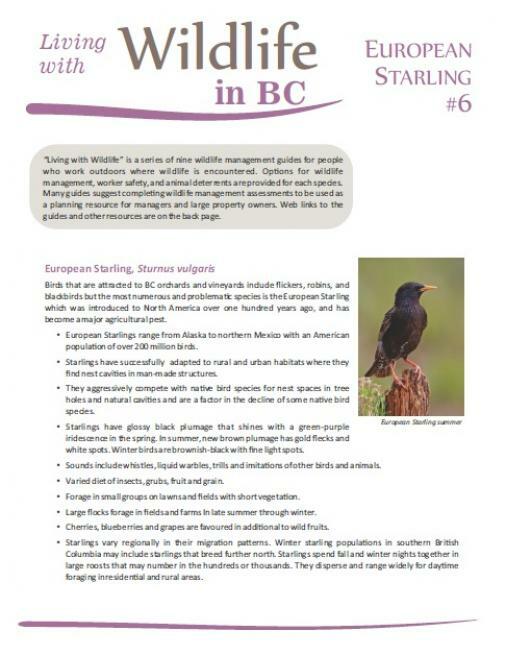 Bear management options, worker safety, bear deterrents and equipment supplies are discussed. 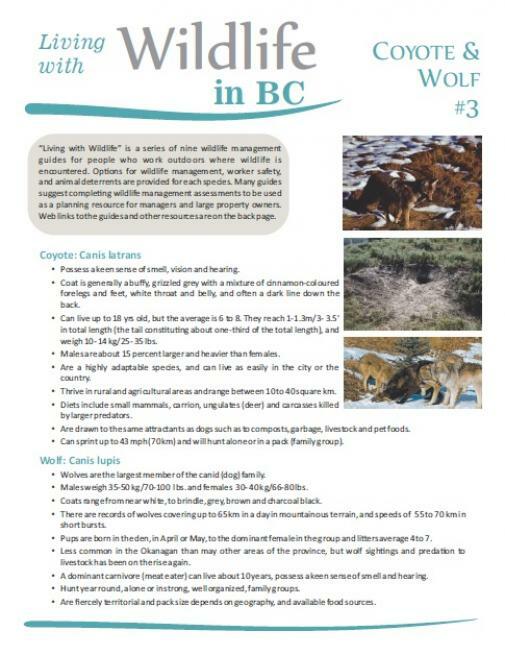 Consult theConflict Reduction Guide for detailed information on fencing and other deterrents. For rats and mice, managing attractants and entry to buildings is key to management. 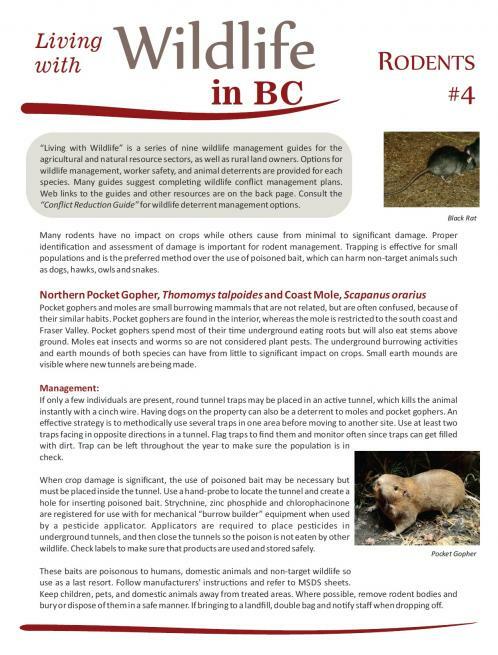 For native rodents such as marmots, ground squirrels and pocket gophers, review the trapping options suggested. There are ten species of snakes in British Columbia but only one is venomous. The rattlesnake is a shy snake that prefers to keep away from human activity. 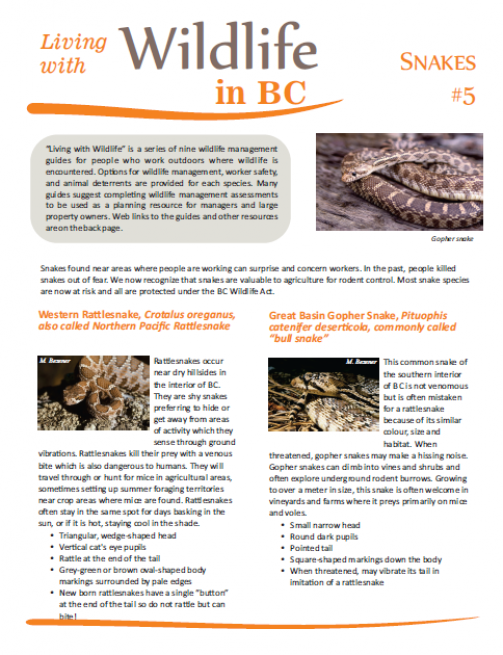 The management guide provides tips on working safely in snake country, identifying snakes, and if necessary–relocating snakes. Deer have adapted to living in towns and rural areas and are one of the most problematic species. 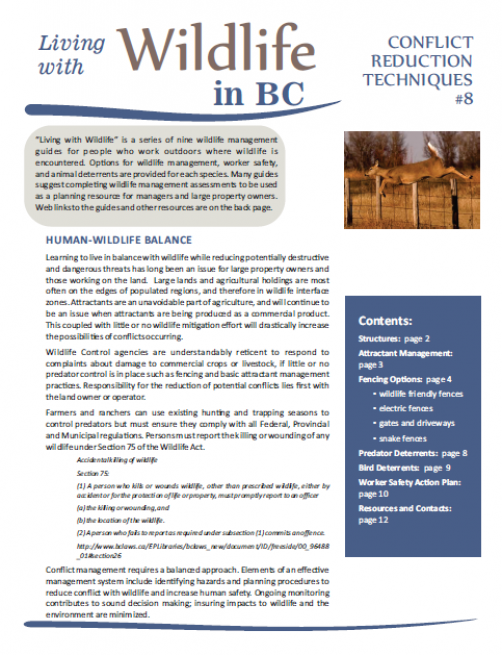 Wildlife fencing is the only solution for effective management of deer. 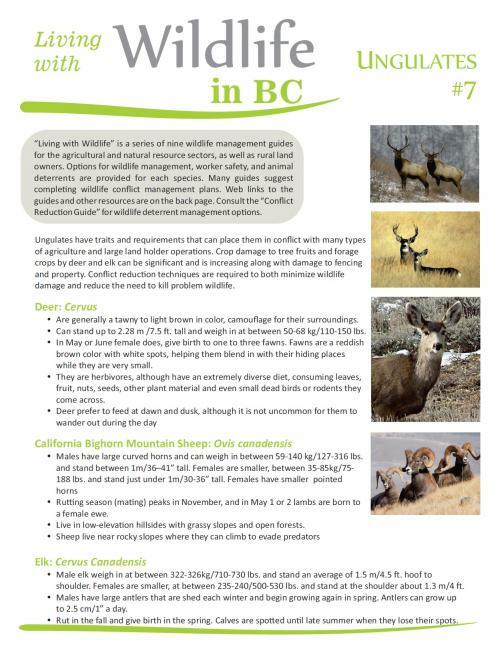 Elk and Bighorn Sheep are also covered in this guide.